It’s not in my character to start up a conversation with someone. It’s awkward for me. Like, “Hey, I notice you are buying a 12-pack. Did you know Jesus loves you just the way your are…sober?” Yeah, see. It’s awkward for me. Don’t deny Him. When you are asked a direct question where you can glorify God, do it! You didn’t have to start the conversation. You were asked a question. Arrange your answer so that God is intertwined in it. Leave no doubt that He lives in you and make them want that! Make good choices. Well, that seems simple. It’s actually not that easy. We are purposefully tempted. Satan knows our buttons to push. Remember, you never know who is watching. You can be a witness with your actions. Use your spiritual gifts. I’ve taken the spiritual gifts test many times (because, you know, I often feel like the appendix). I always score high in service and encouraging others. These gifts are gifted to you once you are saved. You are given them for a reason. What better way to follow His instructions than with gifts he hand-picked just for you! Those are just a few ideas to help out when we are feeling useless and without purpose. You have a purpose! I have a purpose! We have instructions to follow. No appendectomy required. As I scroll thru Pinterest, which I love so much, and Instagram, I notice a pattern. I notice a particular verse paraphrased on a lot of merchandise. Most people know the verse. “She is more precious than rubies; and all the things thou canst desire are not to be compared to her.” Proverbs 3:15 KJV In this verse, “she” is wisdom. “She” is not the female human being. 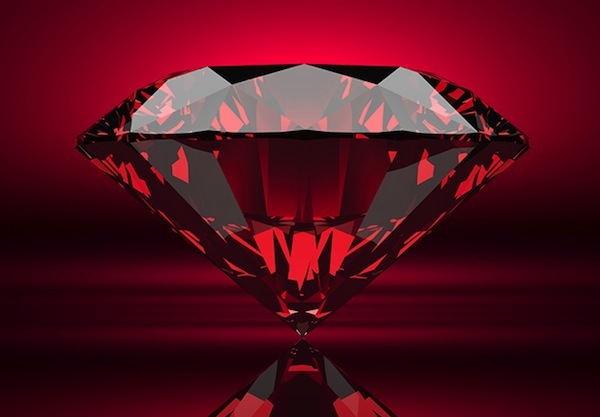 My hope is that people will understand that both a virtuous and capable wife and wisdom are compared to rubies. I say this because I believe, with all the merchandise out there with this phrase, we forget how precious wisdom is. It is rare. It is valuable. I can remember hearing this when I was little. All the kids were chanting it on the playground. I’m sure you have heard it before. It goes like this, “Sticks and stones will break my bones but words will never hurt me.” LIE! Our words can make a world of difference to someone. They can lift someone up or break someone down. I know I am guilty of saying things that I regret. Unfortunately, we can’t take our words back. Once they fall out of our mouth they are engraved in someone else’s reality forever. I certainly wish I could take some back. Our words are one of the best tools to boost someone’s self-esteem, encourage, motivate, praise, compliment, and show our love with. On the flip side, our words can literally deflate someone’s esteem, discourage, insult, and transmit hatred. I teach school. Sometimes thoughts come to my mind. Like, the time I tied a kid’s shoe and then asked what the wet stuff on the string was…or the times I spend a whole 5 minutes explaining what to do and then am asked, “What are we supposed to do?” Ah, precious children. During these times that certain thoughts or words come to my mind I am able to control them from falling out of my mouth. However, I think sometimes we don’t think long enough about what words are about to fall out and how they would be taken by another person. Maybe the thoughts aren’t four letter words and we just open up the mouth and think it’s all going to come out fine…and it doesn’t. I challenge you to join me in thinking twice before speaking. Ask yourself, “Is this going to raise someone up or break someone down?” Do they really need to know that my grandmother can cook better chili than what they brought to the work luncheon? If you are like me, you’ve got to get things off your chest so perhaps we can try rephrasing the words. Line them out in our head first. Maybe saying, “Your chili is good. It reminds me of the chili my grandmother used to make.” Yeah, that’s less insulting and encourages your friend that they didn’t do bad. James 3: 1-12 “1Not many of you should become teachers, my fellow believers, because you know that we who teach will be judged more strictly. 2 We all stumble in many ways. Anyone who is never at fault in what they say is perfect, able to keep their whole body in check. Join me in my little challenge to give at least one compliment a day to a friend or a stranger! I think we would all be better for it. Winner winner chicken dinner. Energy drinks. We think they keep us rolling. I remember getting off at my full-time job, picking my kids up from daycare, swinging by the house, hugging on my kids, dropping them with their Muny and Papa and driving 40 miles to night school. Although they tasted like what I would imagine flavored glass cleaner tastes like, those itty bitty hour energy drinks kept me awake, I thought. It didn’t take long for me to quit drinking them. It wasn’t the product itself but the extra stop I had to make at the gas station and the money I had to scrape up that I really didn’t have to be spending on myself. As I look back, I realize a better, nutritious diet would have gone a long way in itself. When I was in high school I was sick. I remember a professional on eating disorders was talking to me and said something to the effect that if you get too many vitamins or minerals it’s ok because your body will absorb what you need and the rest will just flush out. I don’t believe that. I believe too much of a good thing can be bad for you (unless it’s some Jesus). One of the very popular energy drinks on the market today has 200% of the daily value of B vitamins in just ONE can that you body requires in a day. If you ingest too much B vitamins you are looking at the possibility of liver failure, gastrointestinal problems, nerve damage, blurred vision, and certain skin conditions just to name a few of the side effects. Taurine is another ingredient in many energy drinks. Too much taurine and you are looking at dangerously low blood pressure (and you thought energy drinks pumped you up). Another ingredient we all know about is the caffeine. One energy drink contains as much of it as six cups of coffee. Coffee (with no fillers and strained through a reusable filter and definitely not a bleached paper one) isn’t looking too bad. Although I am a teacher by trade, I really enjoy learning. If something comes across interesting to me then off I go on research. One of the topics that has always interested me is food and the body. What I am going to share holds some opinion and some fact. I am not a doctor, nutritionist, dietitian or any other professional in this field. I simply eat food and have a body. I encourage you to do your research and not base your decisions or beliefs solely on me. With that being said, I am very concerned with what is in a lot of the everyday foods we eat. Let me start by saying I have researched food since I was a teenager. I had a disease, Jesus saved my life and here I am…still researching food but on a different level and for different reasons. Instead of trying to become invisible I am now trying to be healthy. I believe wholeheartedly that the fuel we put in our bodies determines what we get out of our bodies. I also believe many ailments and health crisis we face can be reduced or eliminated by what we eat. There are numerous diets out there. The keto diets seems to be really popular right now. I don’t agree with them. I don’t believe it is healthy to put your body in ketosis, along with other things that go with those particular diets. That’s just what I believe. I also don’t like pills or dietary aides. I don’t like shakes. I don’t like paying money to join programs. I do like praying about my struggles and temptations and being educational about what I am eating. My latest research has been about what is in the food we are eating. Again, I encourage you to look up what I am saying and see for yourself. Here comes some eye-opening information. Ready? Bread. I don’t like it. I know, I know…I just said I don’t believe in the keto diets but I also don’t like bread. Yes, I know it’s in the Bible. I read how they ate it all the time. It was a main staple. Jesus multiplied the 2 loaves to feed the 5000. It nourished people. However, it wasn’t today’s bread. It wasn’t bread made in an American factory. It wasn’t modified, bleached, and processed. One of my issues with bread products today is L-Cysteine and dough conditioners. Go look at your bread. Do you see dough conditioner? It’s in a lot of bread products. L-Cysteine is, in part, made by boiling human hair or duck feathers. Dough conditioner is banned in some countries because of the potassium bromate in it. Here are a couple of links to read more about L-Cysteine and dough conditioners. Vanilla. I love that stuff. I love the real stuff. Watch out because your vanilla could be castoreum/castor. Let’s just say it comes from the backside of a beaver and leave it at that. That’s one of those I really encourage you to type in the browser and read for yourself things. It is said that a mere 292 pounds of castoreum is harvested for food each year. I’m just one of those people who would eat that food product that uses it so I’m gonna pass unless I know for sure my “natural” vanilla comes from vanilla beans. Manufacturers can get away with saying the food product has all-natural ingredients when this is present because, afterall, it is all-natural. You can read what Snopes says about it here, if you’d like. Coffee. It runs thru my veins. I have literally gone weeks with the only beverage I’ve drank is hot, black coffee. I’ve had weeks where I’ve made at least 2 pots a day. I’d drink it day and night…or I’d get a headache. I still drink it. However, the brand is really important. Did you know that some major coffee manufactures use fillers? These fillers range from twigs to soybeans to corn husks and more. The ingredients will say something like 100% coffee because they don’t have to list the fillers. I trust some of the Fair Trade brands, the ones with the rain forest seal, and you can ensure you aren’t getting fillers in your ground coffee if you are grinding your own beans. If you want to be free of the pesticides and such, look for organic, as well. Below is an article about this from the Washington Post. Colors. More specifically, yellow 5, yellow 6, red 40, and red 3. You might recognize the yellow colors as Tartrazine, or not. Using the colors in ingredients is just prettier. These are known carcinogens. These are still in our food. That’s not pretty. Cellulose. You know, wood pulp. It’s in a lot of foods. It can also be called cellulose gum, cellulose powder, and microcrystalline cellulose, among other names. Some might look at it as just a vegan ingredient, plant based and healthy. However, when I think about it as sawdust, which it has been called off of the nutrition label, it just kinda makes me gag. It’s fiber. It’s not supposed to get absorbed by our bodies. However, I’m obviously not a fan of what the FDA allows in our food and don’t know what wood that pulp is pulped from. So, no. It shows up in some of the following foods (not all are listed and not all brands of what are listed have it…check your labels): salad dressing, ice cream, tomato sauce, bagels, flour tortillas, packaged fruit cups, boxed cake mix, coffee creamer, and cereal. I could go on. I’ve got more of this stuff and will plan another post soon. For now, I’ll let all this digest. I tend to get annoyed easily. In other words, to put it bluntly, things, circumstances, and the behaviors of people can easily get on my nerves. I notice it. I’m sorta working on it. However, when it comes to God and what His word tells us, I can’t help but say something or, at the least, feel hurtful on behalf of my Father. I am in a very matter-of-fact mood at the moment so here we go. The fact that it bothers me is not the problem. As a christian, it should bother me. IT is the bandwagon. I’ve gotten on it. I’ve rode it a few miles more than once, jumped off mid-travel, and waved it on by. I’m familiar with it. Lately, when I see it, I tend to turn the other way. What is so bad about the bandwagon? What is wrong with doing what your friends or the majority are doing? What is wrong with having company while you learn about the new thing or try out the latest and greatest of whatever? Nothing. Nothing is really wrong with it if that’s what you want to do and feel comfortable doing that (key words ‘feel comfortable’ like deep in the gut of your heart). I’m even kinda thinking I might want to get one of those instant pot things, like some of my coworkers have talked about, to make my terrible relationship with cooking a little better. The problem with bandwagons is with being a follower every time the internet, social media, and our “neighbors” determine what is popular and trending. Some trends are rather harmless while others are like a slap in the face to our Creator. 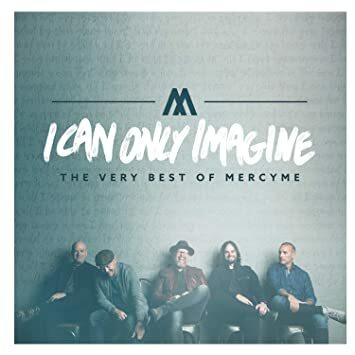 The problem is the world is going to hell in a hand basket (whatever designer hand basket that is trending right now), and so much of the latest and greatest is not pleasing in the eyes of God. We aren’t called to follow the world. Repeating… We are not called to follow the world. 1 John 3:13 “So don’t be surprised, dear brothers and sisters, if the world hates you.” I encourage you to back that up and begin at 1 John 3:1-13. It explains why Cain hated Abel…because Abel was good and Cain was evil. Cain hated Abel for being good. That sounds like today’s news. If we aren’t followers of the world by acting and owning and seeking out what is popular then we are automatically odd, weird, poor, ignorant, snobs and other negative adjectives. I’m telling you it’s okay because we have just ONE to please. Audience of one, so to speak. Faith + FREE ‘faith’ Wallpapers! Today, I saw some things that would be hard for me to believe had I not seen them for myself. For example, when I got home from work, I saw a chihuahua in my yard wearing a coat. I don’t have a chihuahua, and, thanks to Taco Bell, I always envisioned them in sombreros. I also came upon a herd of pilot trucks and police escorts surrounding a rocket ship on the highway. The last time I looked, rocket ships were in the sky not northbound on the highway. With that being said, these things had me looking twice with my own eyes for my mind to fully accept them. These were actual things in front of my face, so to speak. Yet, the Bible wants me to believe in things far more adventurous than my encounters today, things I have never seen before, wholeheartedly and without doubt. This is done with a tool we call faith. 2 Corinthians 5:7 “For we walk by faith and not by sight.” Not everyone has the same amount of faith. Not all grocery sacks can handle a gallon of milk without ripping…and some can hold the milk plus more. So, how strong our faith is depends on how much we nurture it. Romans 10:17 tells us how to grow in faith, “Faith comes by hearing and hearing by the word of God.” Reading God’s word and talking to Him daily will strengthen our faith. There was a painting hanging on the wall in my Sunday School class when I was a little girl some (many) years ago. It was of Jesus with “all the little children” around Him. They were all outside and Jesus was sitting as the kids gathered around him. As I look back on that painting today, and similar paintings, Jesus is obviously sitting on a rock. Of course it’s a rock. But not for the last 30 + years, to me. Until I recently found the picture again, I always thought Jesus was sitting on a log. That’s probably because where I am from there aren’t a lot of rocks. There are logs. There are so many logs! It’s even nicknamed the “Pineywoods” around here. As I grew and experienced death close to me I would imagine sitting on the log in Heaven and visiting with my loved ones. I would imagine sitting on the log and talking to Jonah, “So, some translations call it a whale and others say a big fish. Was it a megladon? Was it a giant squid or perhaps a giant clam and it came out as fish because they probably all smell gross like fish, right? I bet you listened to God after that didn’t you? Who doesn’t want to go to Ninevah? That sounds cool. Were you related to doubting Thomas?…” Every time I imagine talking to someone in Heaven I am sitting on that silly log! Just yesterday, again, I thought about someone I wanted to talk to and we were sitting on that log! Somewhere, up top, I know there likely aren’t any logs because just a log on the ground would signify death of a tree and there is no death in Heaven. How horrid to die and cross over to…the Pineywoods. So, eh…I need the log to go. Here are a few resources you might be interested in, if you’d like to study more about Heaven. Like I said above, no one– not even Hollywood or a best selling author– can accurately describe Heaven for us. 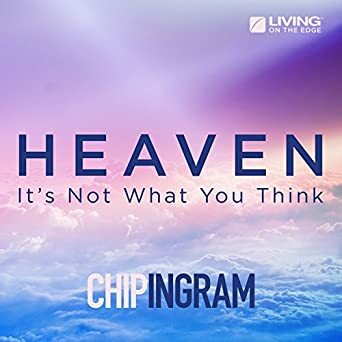 With that being said, Chip Ingram has deeply studied what the BIBLE says about Heaven and points those things out in his study. ’90 Minutes in Heaven’ is based on a true story, and you will hear this man tell his personal story of dying in a car accident and coming back to life. I’ve personally read/watched the following and have been student in a study on ‘Heaven: It’s Not What You Think’. The Amazon links are affiliated links. Feel free to bypass my links to get to the good stuff. Although it’s always nice to have a little income, commission is not my mission. Happy New Year from Grace and Pink! Whatever you face in the new year, may you face it with Jesus.